2015 is supposed to be a cram packed year for films, even with the delays of some like Warcraft and Batman v. Superman. Now whether or not any of them will be any good will be up to everyones personal tastes and there are some to be incrediably hopeful about. As such, here are six films to be hopeful about for next year, please feel free to agree or disagree or even suggest your own films that you are looking forward to. Note, for films releases, I'll be using worldwide and not US release or limited release dates. There is one exception which I'll get to. Also, as some of these films have been released in US, can US commenters refrain from posting spoilers. Given the positive feedback from US viewer, The story of Michael Keaton playing a washed up actor trying to reclaim the past glory of the time he played a Superhero is apparently a really good one. It also will be very interesting to discover why he's running naked in the trailers down a crowed street or what on earth is going on in that meteor scene. With the film finally getting a worldwide release in late January (with many of us having to wait even longer like in the UK who have to wait until the 30th). It will interesting to finally see this film. Like Birdman, Big Hero 6 was has received a good reception from US viewers (which as an aside, I want to thank our US users from not spoiling this film which I thank you for. AKA, the film that most international fans got screwed over from seeing because distributors decided to delay its release because of its success in US theatres (thanks asreholes). Its one of the few times I've broke my own rules and watched it online (the video is now down), but I am looking forward for its official worldwide release to see more accurate subtitles and better quality video/audio. Hopefully it will easier to understand. This was that exception I was talking about, with the erratic release dates of anime, there is really no way to know when its international release will be. The sequel to the 2013 Battle of Gods, the film marks the return of Dragon Ball series most beloved and iconic villain and from the teaser, he looks like he is more powerful then ever. I will actually get the opportunity to see this in theatres as I will be Japan in April. So here is hoping it is not another Bio Broly. You knew at least one of the two marvel films was going to be on this list. 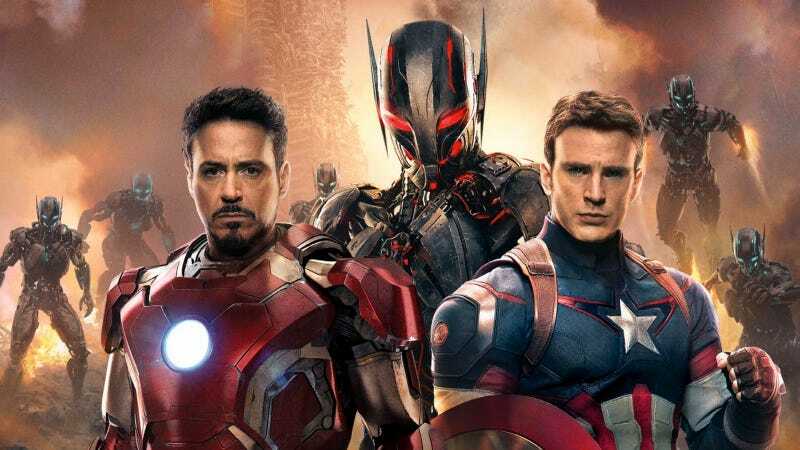 This movie was going to be interesting to see how it plays out, it has a massive cast of heroes and villains which has not always been the best sign for Superhero films (though by no means it will be bad). Hopefully Joss Whedon will be up to form with this film and it will be great. This film has a lot on its back. If its bad, then fans lost the Expanded Universe for nothing and it will be another one in the pile of Star Wars disappointments. But hey, at least we'll get more riff material. Given from the previews though, I am very optimistic for this film and I really want to know about the strange villain from the teaser (in my head, I think it is Darth Revan who has been awakened). Jurassic World (11/6): This can either bad or good, the previews haven't been truly promising. Ant-Man (16/7): Never been the biggest of fans of the character (and the comics have never given me much of a reason to). But it may be good, the recent Marvel films have all been good.